From start to finish, ReadySetAuction is the tool you need to help you execute a flawless, unforgettable event. Whether you’re a first-time user or you need a little refresher on the new features and improvements we continue to add with each release, we have the ReadySetAuction help tools you need to make your benefit auction a stress-less success. Almost every screen in ReadySetAuction contains helpful content at the top to explain what information is displayed or entered there and how. Often, there are links to even more articles that contain detailed how-tos and best practice advice. See these icons? You can find them throughout ReadySetAuction, on just about every page. 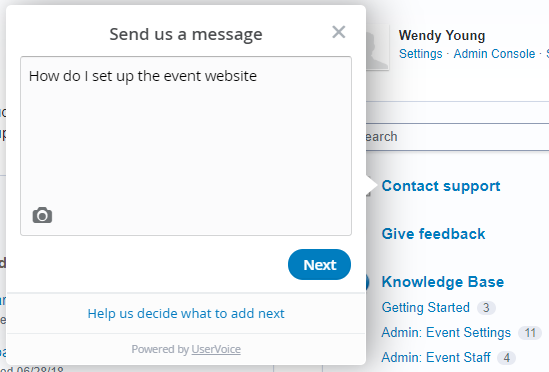 If you have a question about a field or what something means, just click the help icon to learn more. 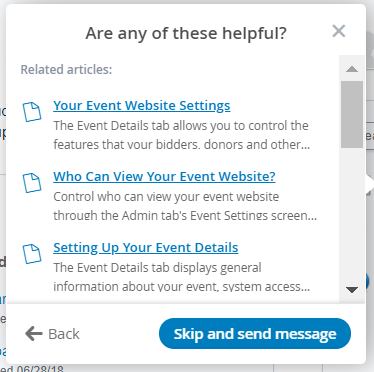 Did you know the ReadySetAuction Help Desk has nearly 200 articles containing tips, tricks and how-tos that are designed to make sure you understand how to use it? You can find all of this content by logging in to your ReadySetAuction system and clicking Help at the top right corner. Sometimes, you just can’t figure things out, and that’s okay. You can contact ReadySetAuction support for answers to questions, how-to advice and best practices that will make your role as an auction administrator much easier. Whenever you need a little extra help, you can contact our experts by clicking Help at the top right of the ReadySetAuction screen. On the right side of the Help Desk, click Contact Support. Then, enter your question. 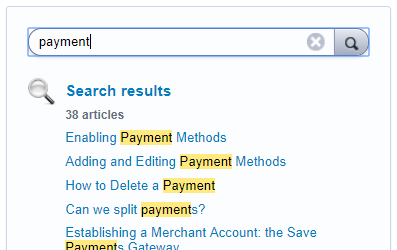 Try to be specific, because our Help Desk will try to search for articles that may be related to your question. If you still can’t find what you need, just click Skip and send message to submit a request for help. A ReadySetAuction Help Desk expert will answer your question within 24 hours Monday through Friday. The ReadySetAuction team wants you to succeed in planning an extraordinary fundraising event, and we provide you with the help and advice you need to make it happen. Get started right by using these five lifelines to help you pull off the event of the season without a hitch.